Are you looking to promote your store sales by offering rewards such as free shipping, and/or discount certain items via email or secret promotions? Coupons are a great way to go beyond simple sale pricing to provide incentives to new and or existing customers. If you want to use coupons in your store you need to ensure that they are enabled! 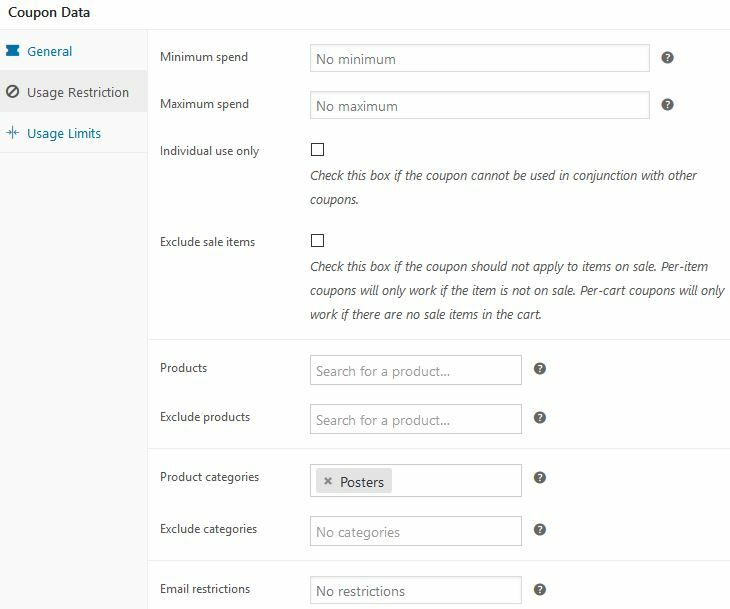 You can enable coupons via WooCommerce>Settings>Checkout tab. 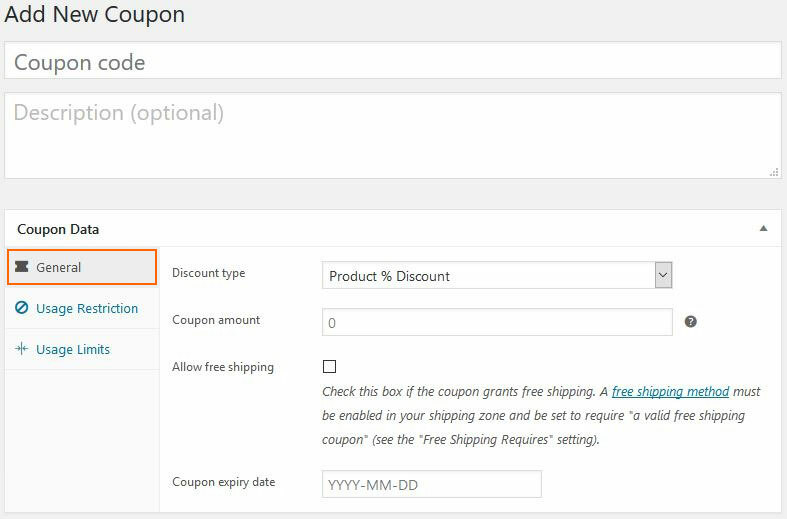 As shown in the following image, simply check the enable the use of coupons checkbox then scroll down and click the save changes button. Now that you have coupons enabled you are ready to add a coupon! 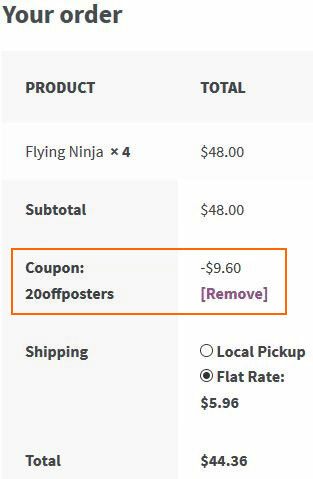 Adding a coupon is simple via WooCommerce>Coupons>Add Coupon button. On the add new coupon screen you will see a text box for coupon code and another for description. Coupon code, as the name implies, will be the text which your customers can enter into their cart to be applied to their order. Description is for internal use only to help you describe the coupon. 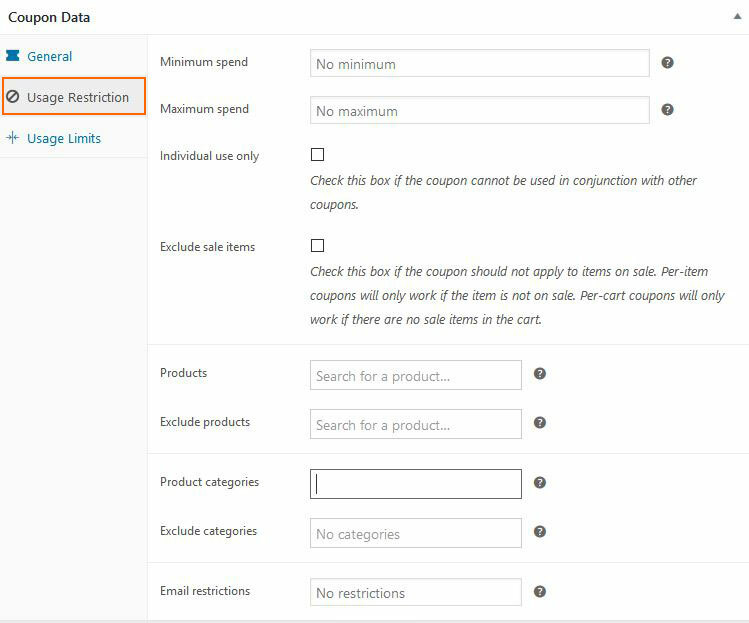 As you can see from the following image there are three sections under coupon data (each with their own fields and settings) to help you configure how your coupon may be used. 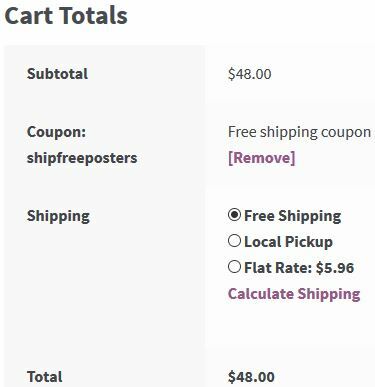 Allow free shipping: Shipping cost is removed when checked. You will need to ensure free shipping is enabled. Add the coupon code and description. Set the discount type to product discount. Set the maximum spend to 100. 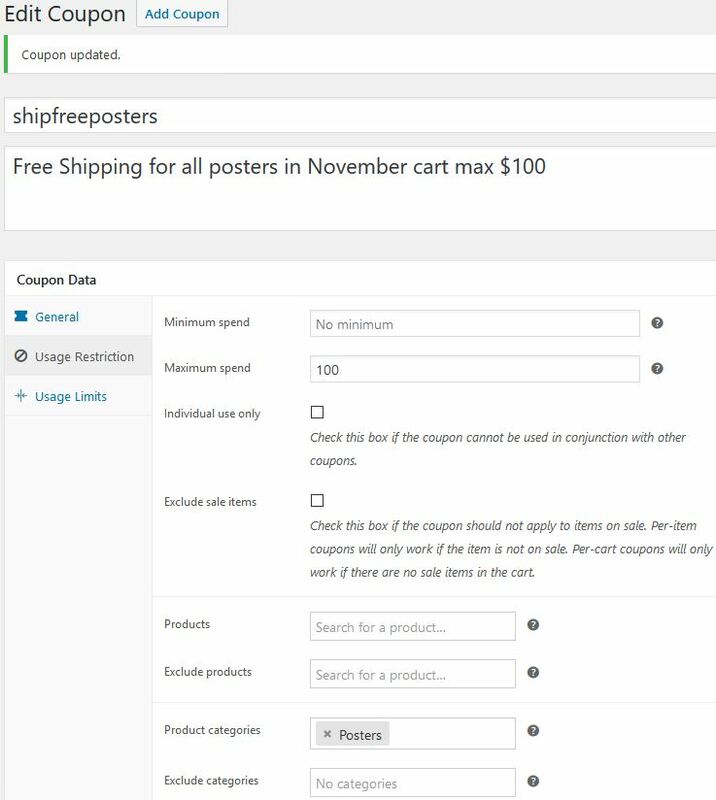 Configure the inclusive product categories to include posters. Leave usage limits as default. 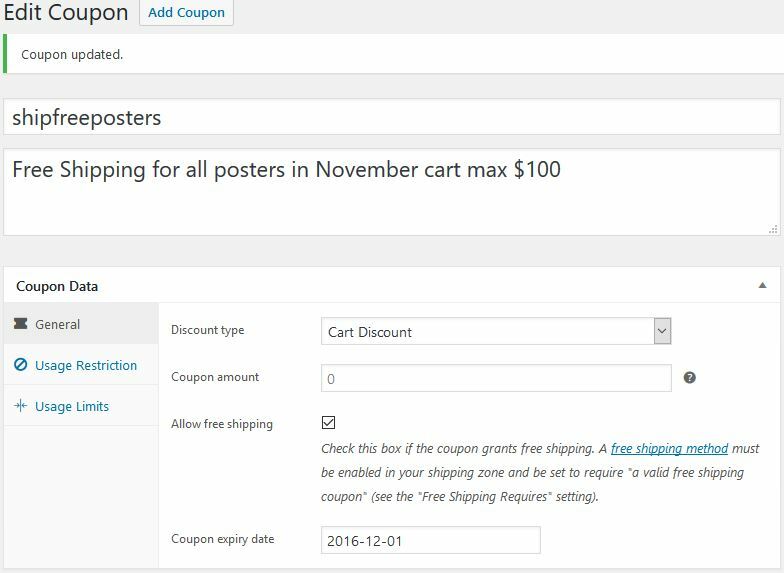 You can refer to the following images to see how the coupon should be configured and how a coupon applied to a customer cart should appear! 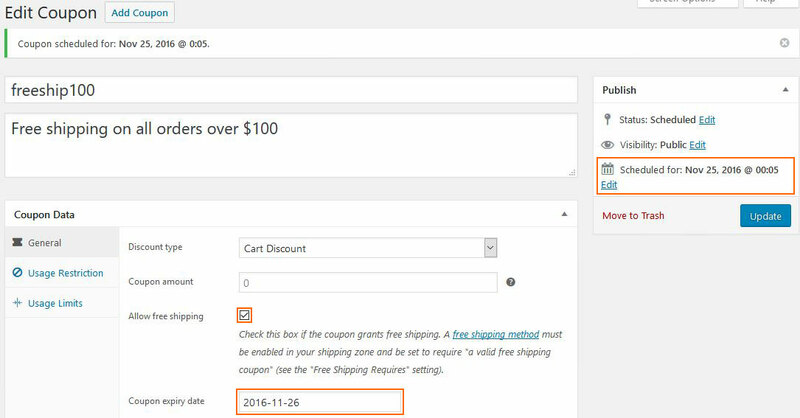 Let’s create another simple coupon that enables free shipping for all cart orders over $100, and let’s schedule the coupon for Black Friday 2016 only. Set the discount type to cart discount. Once you publish your coupon make sure you remember to share the code with your clients and customers! If you need help notifying your customers about your coupons please check out IQComputing’s email newsletter services here or contact us and let us know how we can help! 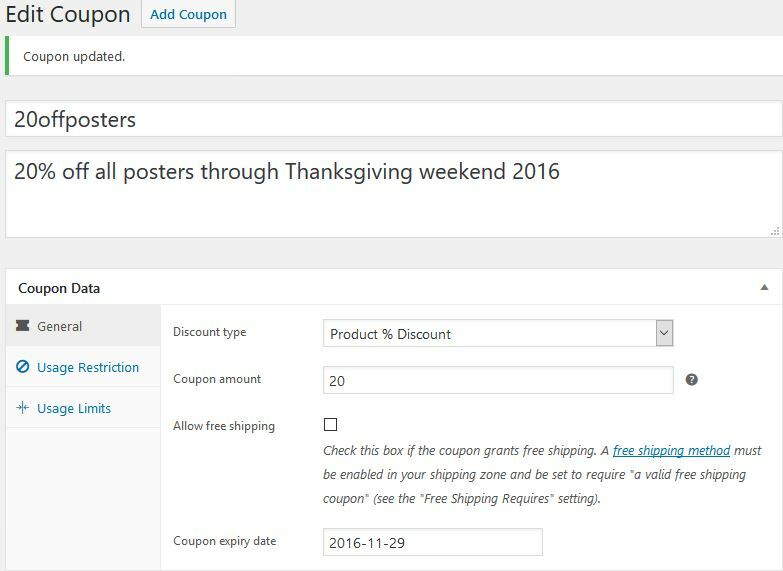 If the customer cart does not meet the usage restrictions for a coupon what happens? The answer is that the customer receives a notification and the coupon is removed!